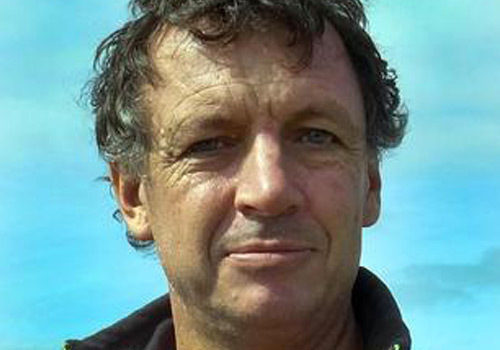 Michael Bird trained as a geologist at the University of Sydney and the Australian National University, obtaining a PhD in isotope geochemistry in 1988. Following a postdoctoral fellowship at the University of Western Ontario in Canada, he returned to Australia as research Fellow, Queen Elizabeth II Fellow and Fellow at the Research School of Earth Sciences, Australian National University. In 2000 he took up an Associate Professorship in Singapore and in 2004 moved to the Chair in Environmental Change at the University of St. Andrews in Scotland. He returned again to Australia to take up a Federation Fellowship in the School of Earth and Environmental Science at James Cook University (Cairns campus) in February 2009. Michael is currently an ARC Laureate Fellow and Distinguished Professor in the College of Science and Engineering at James Cook University (Cairns campus). He leads a research group focused on terrestrial biogeochemistry, environmental change and geoarchaeology in tropical Australia and Southeast Asia.